Royal Enfield - I Say Ding Dong Shop - Buy Stickers, Decals & Unique Automobilia. 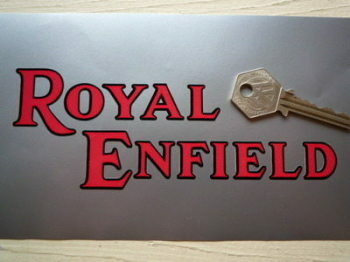 Royal Enfield 'RE' Cut Letters Black & Gold Sticker. 4". Royal Enfield Air Filter Black & Gold Sticker. 2.5". 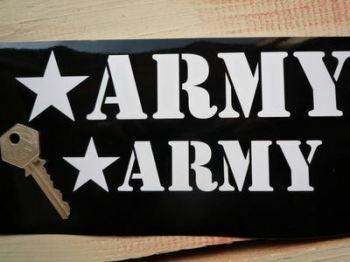 Royal Enfield Army & Star Cut Text Stickers. 6" or 8" Pair. 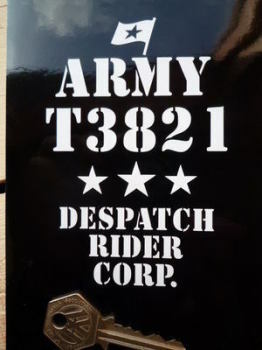 Royal Enfield Army Despatch Rider Corp Sticker. Khaki Green Bikes. 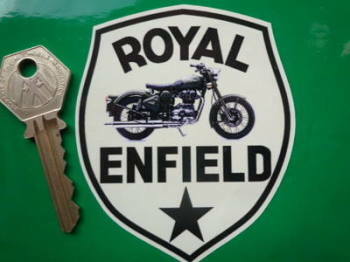 Royal Enfield Bike & Star Shield Sticker. 3". Royal Enfield Black & Gold Cut Vinyl Text Stickers. 4.5" Pair. Royal Enfield Black & Gold Joined Text Stickers. 5" Pair. 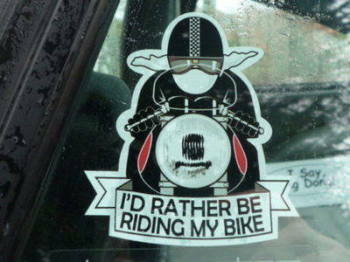 Royal Enfield Black & Red Cut Vinyl Text Stickers. 6.5" Pair. 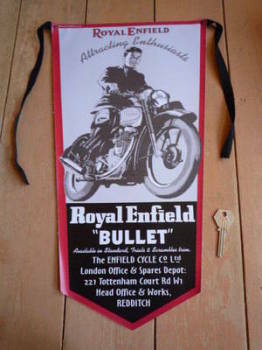 Royal Enfield Bowden Cables & Accessories Art Banner. 22" x 30". 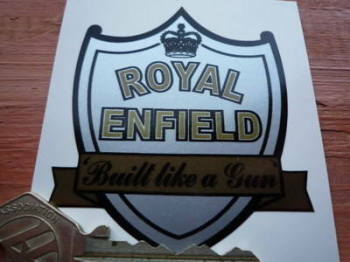 Royal Enfield Built Like A Gun Shield Sticker. 2.5". 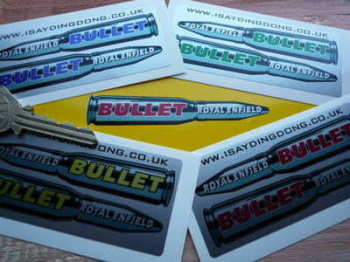 Royal Enfield Bullet Shaped Stickers. 3.5" Pair. 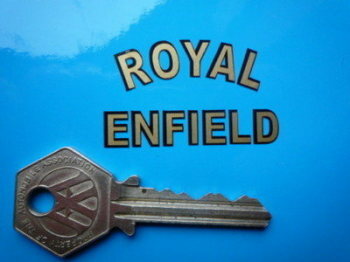 Royal Enfield Champion Spark Plug HT Cap Cover Badges. 29mm Pair. 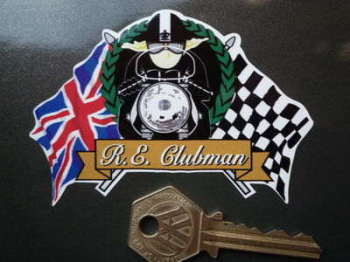 Royal Enfield Clubman Flag & Scroll Sticker. 4". 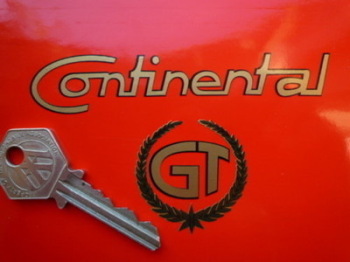 Royal Enfield Continental GT Cut Vinyl Sticker. 4". Royal Enfield Continental GT Cut Vinyl Text Stickers. 8.5" or 11" Pair. 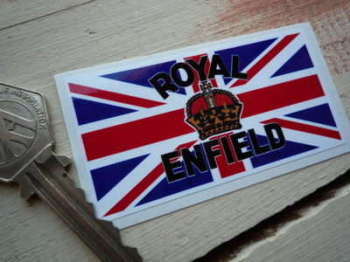 Royal Enfield Crown & Union Jack Sticker. 3". 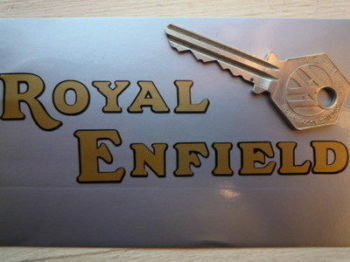 Royal Enfield Curved Gold Cut Text Sticker for Motorcycle Front Number Plate. 10". 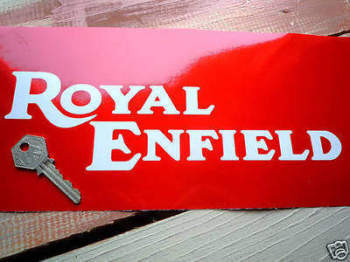 Royal Enfield Curved Text Sticker. 102 x 57mm. 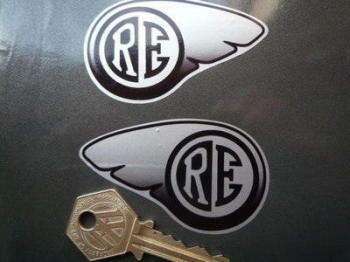 Royal Enfield Curved Winged Stickers. 2.75" Pair. 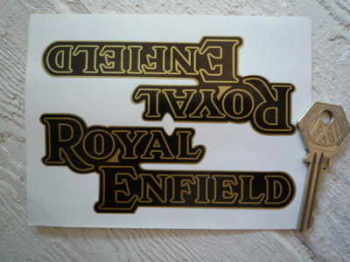 Royal Enfield Cut Text Sticker. 45 x 26mm.